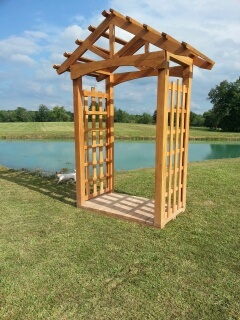 Schutt Log Homes and Mill Works offers this Garden Arbor as a kit. This Arbor is great for your climbing plants and is large enough to hold a bench. It is built with a floor as a base which makes the Arbor sturdy and portable. 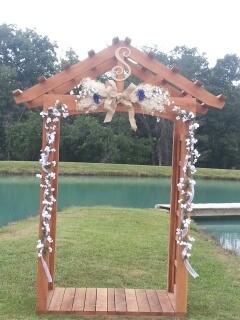 Our Garden Arbor also makes a beautiful spot for a wedding! 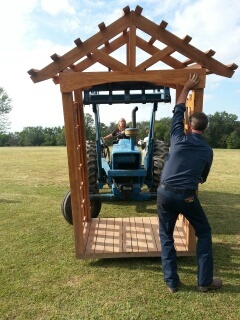 This Arbor will be moved to the garden to be a highlight of the garden. 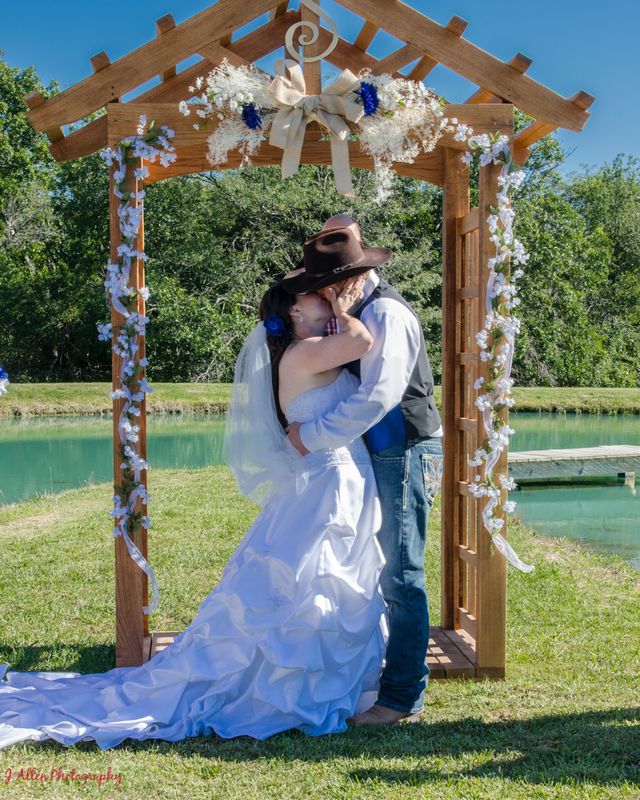 It was certainly a highlight of the wedding! 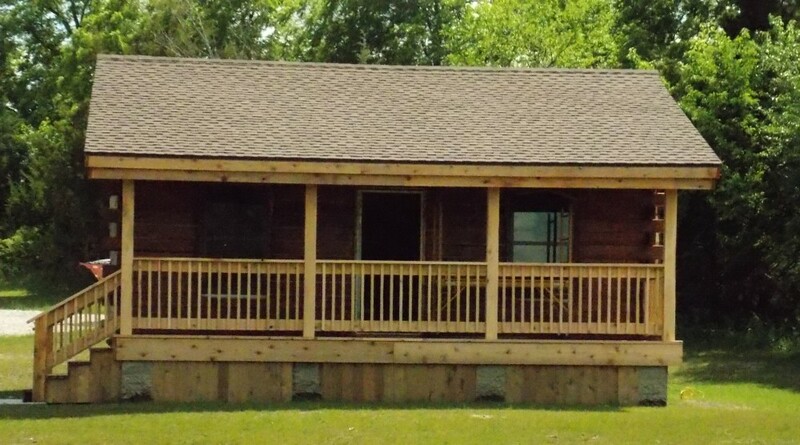 Call Schutt Log Homes and Mill Works at 816-506-5713 for ordering information. 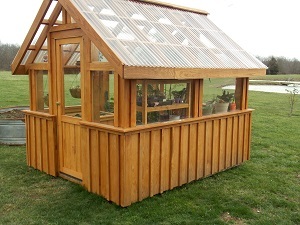 Also see our website http://oakcabins.com/ for information on all of our Oak products Including greenhouse kits, Oak log cabin kits, Rustic timber barn kits and specialty lumber. Schutt Log Homes and Mill Works TIMBER VIEW Oak log cabin kit. Take a peek at our video! 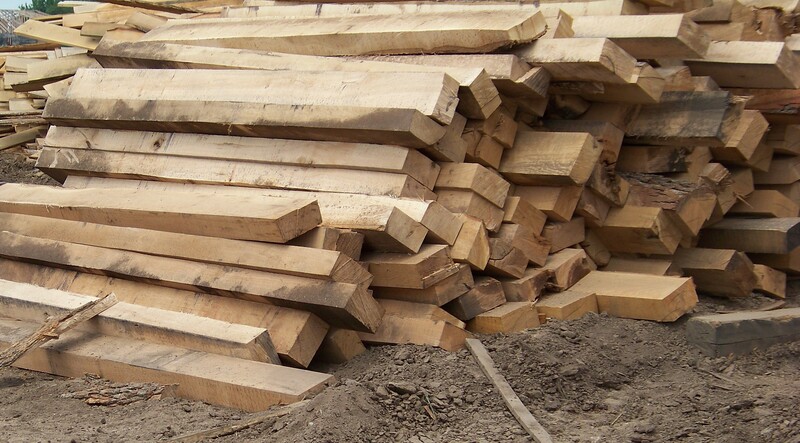 A common question we get asked here at Schutt Log Homes and Mill Works is “what about log shrinkage as the Oak logs dry?”. Oak logs shrink there is no getting around that fact. 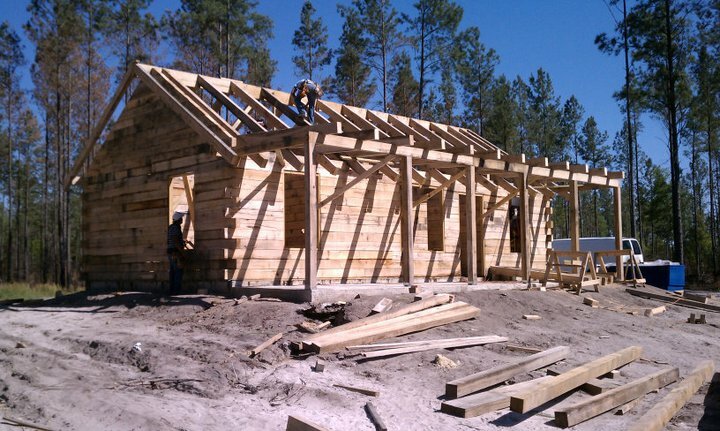 When the Oak is selected and handled properly the drying process is seen as giving character and quality to the log home. As Oak dries it becomes much denser making it harder. Basically Oak gets better with age. With proper chinking and sealing the log cabin will remain insulated and water tight through the shrinking process. When an Oak tree is sawn it has a very high moisture content (MC), sometimes up to 80%, where a dry piece of timber inside a building can have a MC as low as 8%. In the beginning as Oak dries it loses what is known as ‘free water’ from it’s cell cavities. Once the ‘free water’ is evaporated the timber is said to have reached its fiber saturation point (FSP). In Oak this is around 30% MC. Next the Oak will begin to lose what is called “bound water”, this is the water contained in the cell walls. When the bound water evaporates is when the shrinkage in the timber begins. An Oak log in a home can typically reach a MC of about 12% after several years. The rate of the moisture loss will affect how much an Oak log will shrink. The faster Oak loses it’s bound water in the cell walls the more it will shrink. Oak contains longitudinal cells called vessels which are straw like. When these vessels are allowed to dry very slowly in a stable manner shrinkage is drastically reduced. 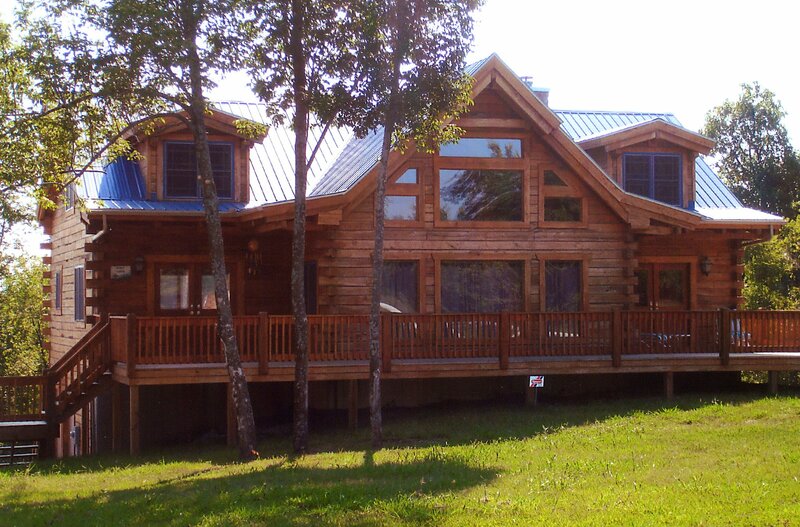 Schutt Log Homes and Mill Works allows our Oak logs to dry naturally to keep the drying process as slow as possible. 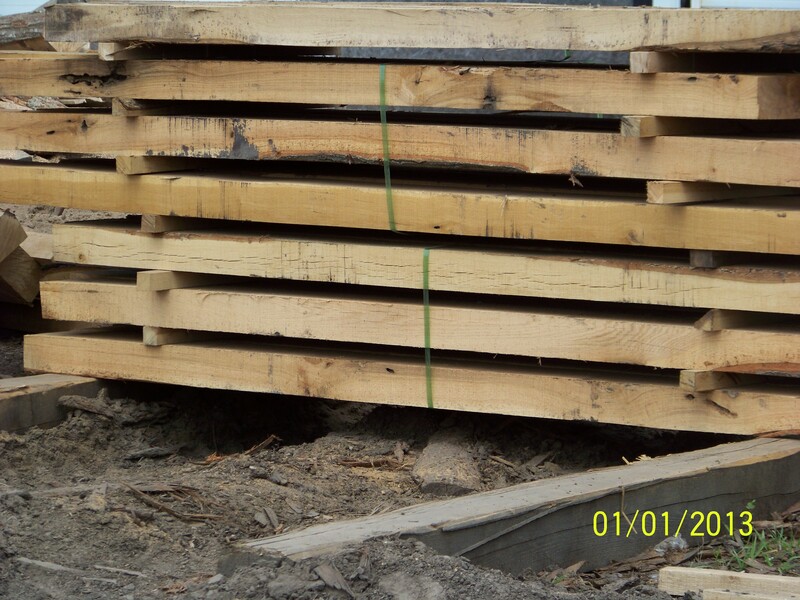 When our logs are shipped the moisture content will generally be between 18-20%. This will allow the logs to dry slowly and naturally in their new environment. This is a short video about our greenhouse kits.